Despite if you escaped hurricane Irene, I hope that no matter where you were that you are okay. 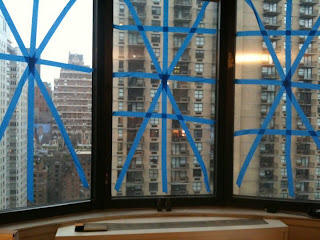 I moved Friday from Battery Park to Midtown East Friday and have spent the weekend unpacking, and waiting on Irene. 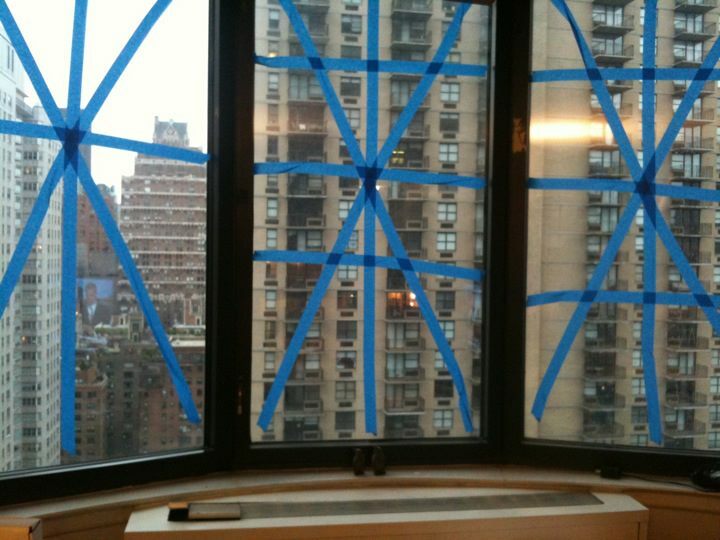 To be safe, we put tape up on our windows incase the wind flung BBQ pits from other near by balconies. Although we were spared from the major floods here in my new area of the city, NYC wasn't totally spared. Areas def got a hit, and Queens, Staten Island, Brooklyn got a smack from Irene! And the NYPOST is right, it does look like a ghost town here in Manhattan. Waiting to hear about the trains/transit.